Coastal Jewelers has been family owned and operated since May of 2000. 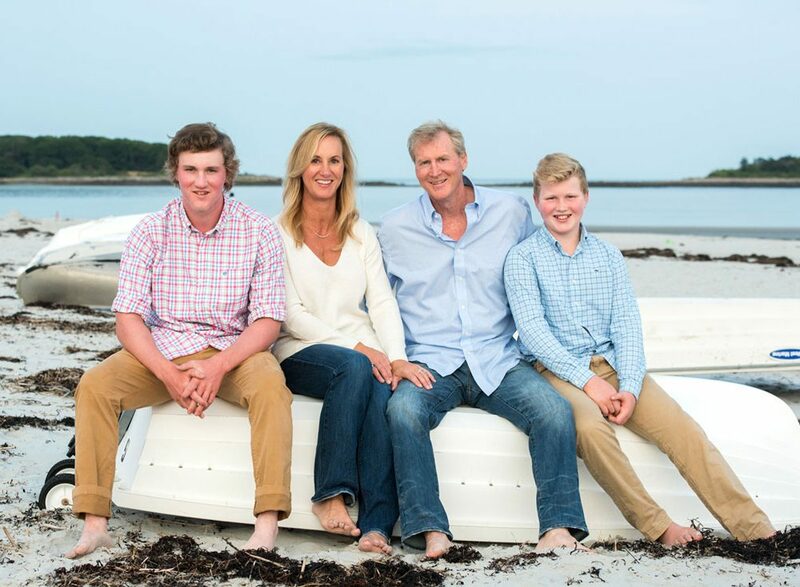 Brian & Susan MacDonald, life-long “Mainer’s”, started the business along with their children Conner & Quinn, who you will often see behind the counter helping or getting off the bus from school. Our store Manager, Abigail Hinds-Aldrich, “Abbie”, has been with us since July of 2009 and is an integral part of our team. At Coastal Jewelers, we offer a wide variety of jewelry to fit every budget including fashion silver pieces, beautiful gemstone jewelry to custom diamond engagement rings. We do however specialize in Tourmaline, a unique and fascinating gemstone which is mined in our home state of Maine. Tourmaline, “Maine’s State Stone”, is a gemstone which has been mined in the western hills of Maine for nearly 200 years, and is considered by many to be the most unique and diverse of all the gemstones. This may sound like a bit of an exaggeration until you realize it is found in every color of the rainbow and countless different shades. Maine has long been recognized as the home of the largest and most significant find of gem quality Tourmaline in the world. Tourmaline is, however, also mined in other areas worldwide including California, Brazil, and Africa. Our store is located in the heart of Dock Square, Kennebunkport, Maine, a very special coastal town that is located between, and nearby, the cities of Portland, ME, Portsmouth, NH, and Boston, MA. We are blessed to call Kennebunkport our home! Coastal Jewelers is a member of RJO, JBT, Kennebunk/Kennebunkport Chamber of Commerce and the Kennebunkport Business Association. We look forward to welcoming you to our store! Coastal Jewelers maintains one of the largest and finest selections of Tourmaline jewelry you will find anywhere. We have developed many sources for high quality Tourmaline from Maine as well as other areas worldwide. We pride ourselves on the diversity of colors and designs in our collection, and work very hard to find the highest quality stones and offer them at the lowest prices anywhere. Every stone is hand selected and then crafted into an exquisite one-of-a-kind piece of jewelry by our expert jewelers. We design nearly all of the pieces we offer for sale in our shop daily. Come and visit us when you are in Kennebunkport or feel free to browse through our many collections online.